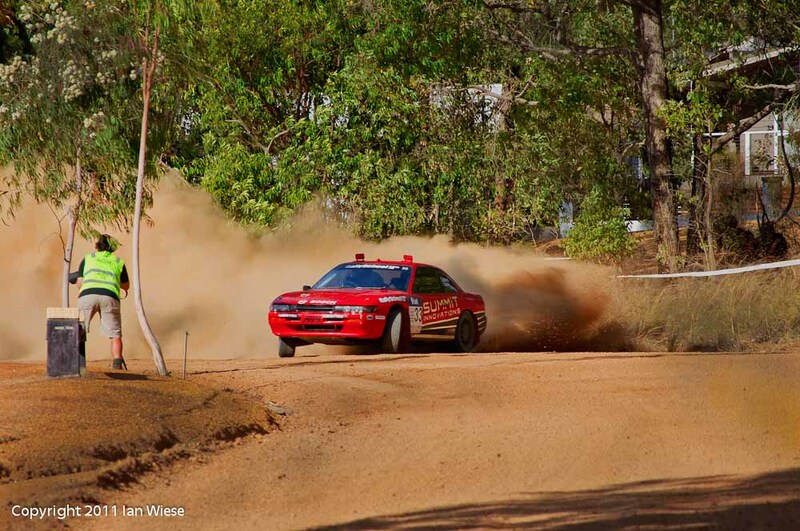 The rally had a short stage around the Nannup oval on Saturday. The best shots I took were of cars that were having troubles. The best drivers seemed to take a neat line through the corners, and avoid any drama. Fortunately for photographers not everyone managed as well. This car had troubles on the RH bend with the tail hanging out wide. Although the photographer looks worried, he is just bending over his tripod! The driver managed to straighten up, but the tail kept going, and was hanging out wide on the other side as he entered the following LH bend. This entry was posted on April 17, 2011 by ianwiese. 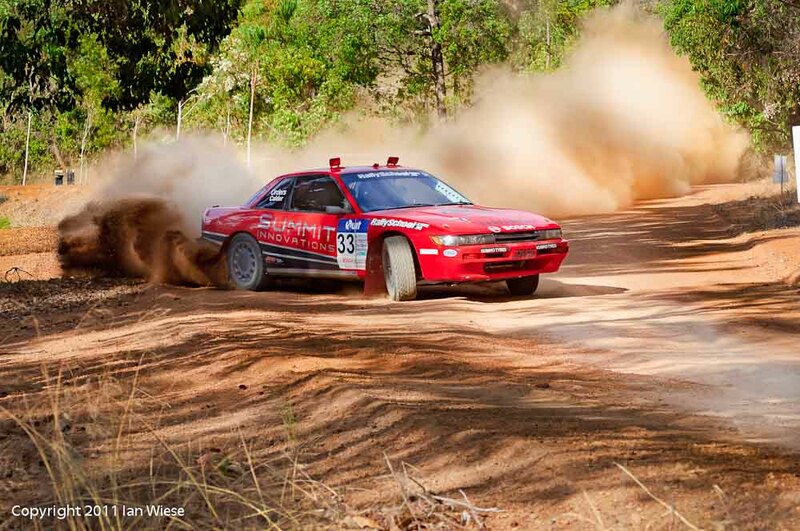 It was filed under Rally and was tagged with forest, Nannup, quit, Rally, red, red car.